Razel Mushiana is SAS Institute Southern Africa’s General Manager, and in his position he brings a wealth of experience in Financial Services, Public Sector and IT Solution Sales. Razel re-joined SAS in July of 2015 after spending four years at Microsoft as the Senior Sales Manager for the Public Sector. His role at Microsoft included helping evangelising an industry-wide shift to Cloud and helped the company position itself as a leader in the public Cloud space. He has also championed Cloud services to his Government customers and partners to embrace Cloud, be it Public, Private or Hybrid. He has over 25 years of experience within the Sales and Marketing environment, and 15 of these in senior leadership roles. Razel stood at the forefront of the fastest moving technology industry trend: Cloud services. He has built a reputation for developing Business Strategies, incubating new Business Models and building out Channel Programmes through a profitable Business Model for customers. Both at Microsoft and SAS, he constantly ranked among the top performers for Microsoft Circle of Excellence Gold and SAS Elite Awards. As a former professional at IBM, Nedbank, Oracle and Commercial Union Assurance, Razel has been a key speaker at events on topics in Marketing and Sales Automation. 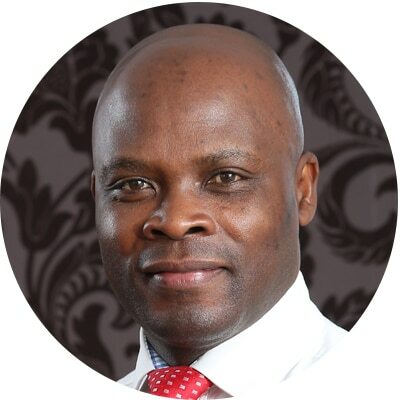 He holds a BCom (Ed) degree with Economics as his major and has acquired various Marketing, Financial acumen qualifications and credentials from IBM, Microsoft and SAS Sales Training. 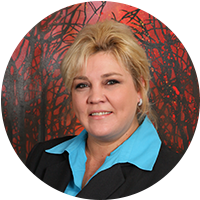 In her role as Senior Solutions Manager, Data Management at SAS Institute of Southern Africa, Antoinette van Zyl is responsible for managing and overseeing the development of internal and external resources needed to accomplish business goals. Antionette started her career in the banking industry where she worked for three years before moving to the Insurance industry for eight years in a marketing role. Her role included new Product Development, Marketing Management and later on Risk management. She went on to join Nedbank, where she worked on strategic projects for two years before joining the Information Management Division. Her role at Nedbank also included Business Intelligence, balancing scorecards as well as MIS and Data Quality. She established a Risk and Information Security function and worked closely with the Data Warehouse on their integration technologies as well as the information architects. Colin joined SAS in 2004 in the Assurance Information Department as a Continuous Assurance Specialist. He was responsible for developing innovative strategic models for continuous auditing and monitoring conducted by the Internal Department. His role included creating meticulous reports regarding exception identification for audits and responsibly implementing SAS systems for identifying fraudulent transactions. From 2007 Colin took up the position as Senior Systems Engineer focusing on Operational Risk and Fraud. 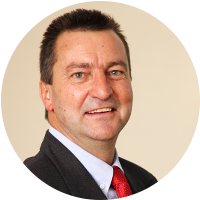 He has over 25 years’ experience in banking, internal audits, credit, fraud and operational risk environments. He has also extensively marketed products through persuasive public speaking, press releases, product exhibitions and creating valuable marketing leads. Prior to joining SAS, Collin was employed by Absa as a Training Consultant. This role included creating and assisting in training courses focused on Local Documentary Products, Mortgages and Cheque Accounts. He later took on the role as a Credit Auditor, developing and responsibly implementing early warning systems, strategic risk mitigation plans and data mining models for identifying risks related to credit. William is the Regional Practice Lead and is responsible for the Fraud and Financial Crime practice across the African region for SAS. William provides fraud expertise to the sales, presales and subject matter expert teams across various industries including Banking, Insurance, Healthcare, Industrial, Mining, Telecommunications and Government sectors. He has worked closely with the international teams (including the Advanced Analytics Business Unit (AABU)) in driving SAS’ Fraud and Financial Crime solutions thereby ensuring global best practice solutions adapted for local fraud challenges. His role also includes work with many Tier 1 organisations across banking and Insurance, as well as large Government institutions across the African region, creating solution roadmaps and appropriate risk strategies to combat Fraud and Financial crime. Prior to joining SAS, William spent 15 years conducting fraud investigations at KPMG across various industries and sectors including Banking, Healthcare, Industrial, Mining, Manufacturing, Telecommunications and Government. 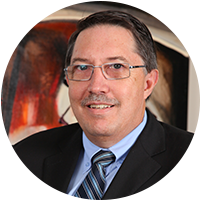 As well as gaining extensive Fraud Analytics experience, he played a leadership role for the Procurement Fraud Centre of Excellence within the South African KPMG practice and he was a member of various South African KPMG Forensic Solution Development and Strategy teams.